This is a baseball first for me. My friend. On his own baseball card! 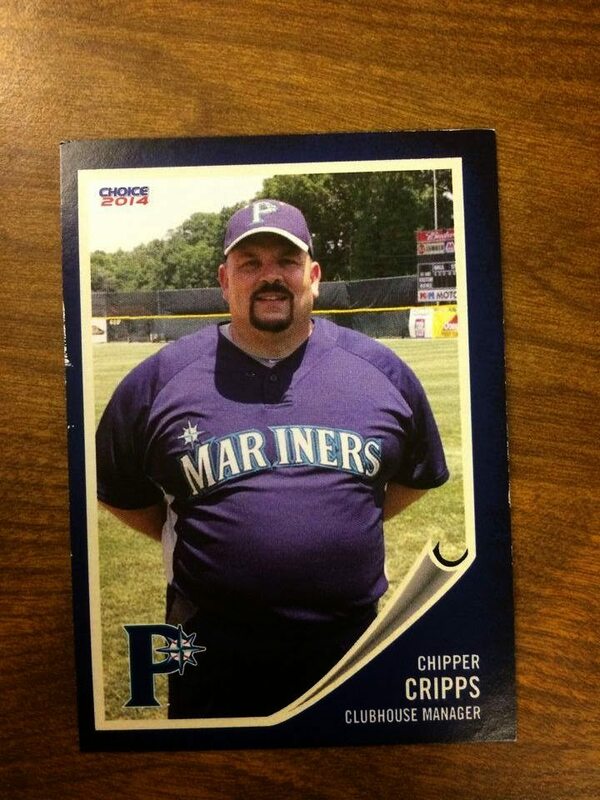 Lynn “Chipper” Cripps is the real thing. He deserves a real card. The clubhouse manager told his Facebook universe about his Pulaski M’s, Seattle’s Rookie League affiliate. On Tuesday, he shared news that the Choice minor league team set had arrived. Plus, he noted that he started getting autograph requests himself. “Gotta laugh,” he added. Lynn reminds every one of his friends with mere-mortal occupations that he loves his job. However, he’s mentioned that his life as a “clubbie” can feature 17-hour days. That’s right. He’s logged hours of 9 a.m. to 2 a.m. during homestands. Therefore, getting fan mail to players might be just one umpteen daily duties he tackles. Therefore, especially when writing to youngsters in the low minors, realize that teams will do the best they can getting letters to players. That’s the patience he hints at. And, when you’re deciding if you just want player autographs, realize that the clubhouse manager loves baseball just as much as anyone in that starting lineup. Unsung heroes are worth collecting, too.